Running a commercial premise is tiring and it is hard work. When the premise is question is a catering one, health and hygiene should be forefront in your mind at all times. With spot checks being the norm, your food outlet needs to be not just nearly clean but really clean. Let’s take for an example a hotel kitchen. From early in the morning till late at night, food will be being prepared and dishes will be washed. So, professional commercial cleaning solutions are a must. A hotel kitchen will be up and running from before the guests rise till after they go to bed. In fact, there may only be six or so hours between midnight and 6am that there is no one present. This gives you little time for cleaning, and certainly not enough time to expect your staff to carry out the duties. Commercial cleaning solutions provided by a local Bristol company will ensure your kitchen is cleaned until it is spotless at the end of each long working day. Running a hotel is a complex business. You will require more than one cleaning team. One cleaning team will work as chambermaids, another cleaning the lobby, and another the kitchen with industrial strength cleaning equipment. You may also employ the services of a janitor as well as groundsmen for exterior areas. What is possible here, and essential for continuity, is that you use the same company for as many tasks as possible. But, let’s get back to the hotel kitchen and discuss what needs to be cleaned. For a hotel kitchen to pass on the spot inspections it needs to be clean and hygenic. Chopping boards should be soaked in a disinfectant solution every night, and there should be no tea towels or dirty dish cloths. Paper towels should be used instead of tea towel, and any cloths that are used for wiping down surfaces should also be disinfected every day. All members of staff should have up to date health and hygiene certificates, and should be aware of health and safety issues. Any spills should be mopped up straight away, with warning cones put in place where necessary. Sharp knives that are not being used should always be stored correctly with their blades covered. Fresh and cooked food should not be stored in the same fridges, and under no circumstances should raw and cooked meat share a fridge. The cleaning of your fridges should be carried out by your staff at the end of each day. Spills should however be wiped away immediately. At the end of the working day, all food in fridges should be inspected, and any that is spoiled should be thrown away. You should have one fridge for fresh foods, another for cooked, and another for raw foods. Remember that your commercial cleaning team will only wipe over the outside of your fridges and cold stores, meaning that your staff should be responsible for what is inside. All bins should be emptied before your cleaning team arrive, and bin bags should never be left on the floor near to the back door. When your commercial cleaning team arrive, they should not be met with dirty dishes or dried on spills on the floor. Their job is to clean surfaces, equipment, floors, walls and units. If you require deep cleaning, such as behind your fryers or fridges, this should be clearly added to your cleaning checklist. Extractor fans should be deep cleaned at least twice a year, and the areas behind your food preparation surfaces and fridges should be cleaned on a weekly or bi-weekly basis. The more frequently your premise is deep cleaned, the easier it will be to keep clean. 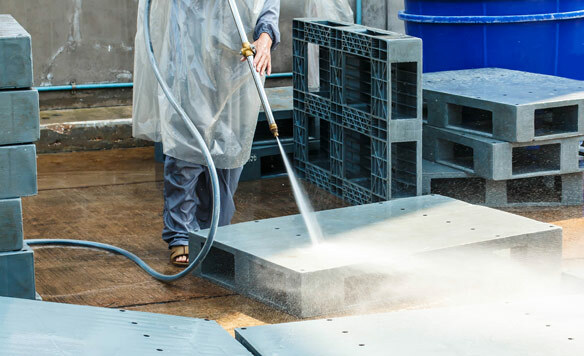 Commercial cleaning solutions for your Bristol hotel or guest house will ensure that you always adhere to strict health and safety standards. Running a busy kitchen is a diry business, and one where professional help is required to keep things really clean. From your kitchen to your bedrooms, guestrooms, lounges, and even your lobby and car park, Bristol cleaning teams are available and at hand to ensure the cleanliness of your commercial premise.